If you are interested in Walking in Ireland then this event will certainly be of interest to you. 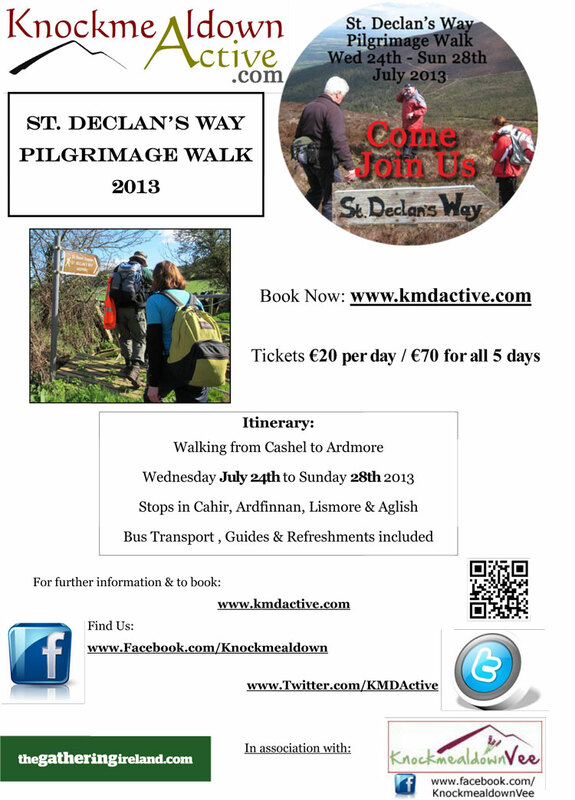 The first organised full-length walk of St. Declan’s Way all the way from Cashel to Ardmore will take place from July 24th to 28th 2013. This follows on from a very successful walk from Ardfinnan to Ardmore in 2012. The walk is being organised part of the nationwide celebration of The Gathering Ireland 2013 so we are encouraging participation from all corners of the globe. Walking in Ireland – What is St. Declan’s Way?